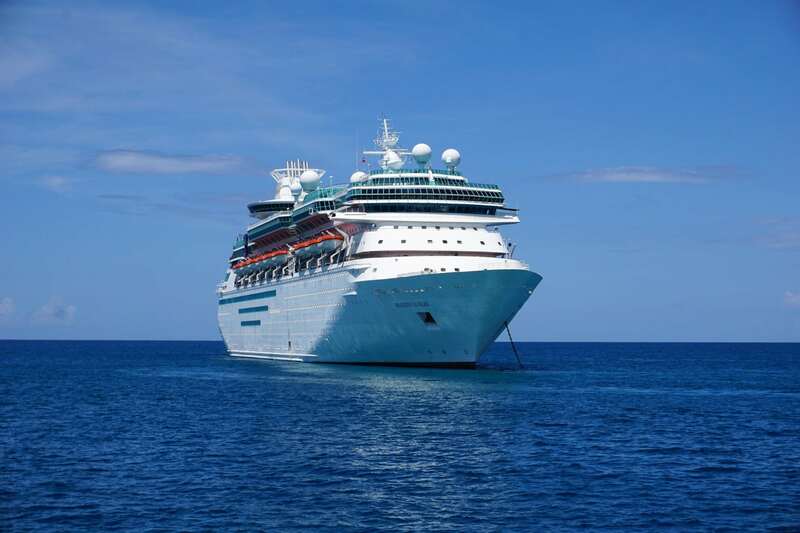 Majesty of the Seas is a seasoned vessel offering 3 and 4 night cruises from Port Canaveral. 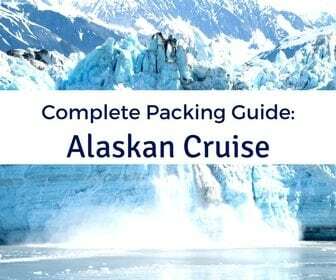 In service since 1992, the ship has been offering these short cruises for the past several years. 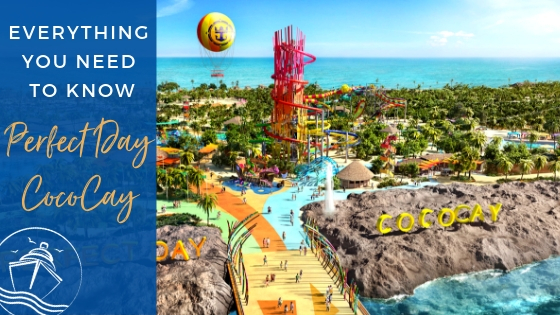 Visiting the Bahamas, including the cruise line’s private island of CocoCay, these trips are often a mix of first time cruisers, local Royal Caribbean loyalists, and those looking for a good time. 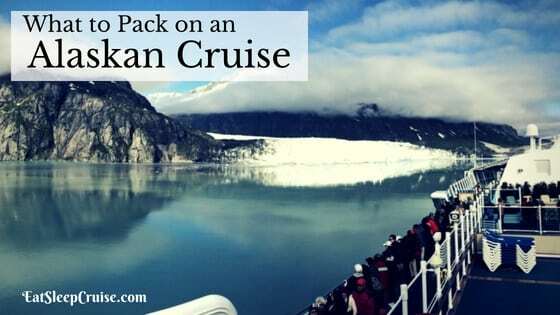 As our second such “weekend cruise” with the cruise line, we had some reasonable expectations of what the trip would entail. 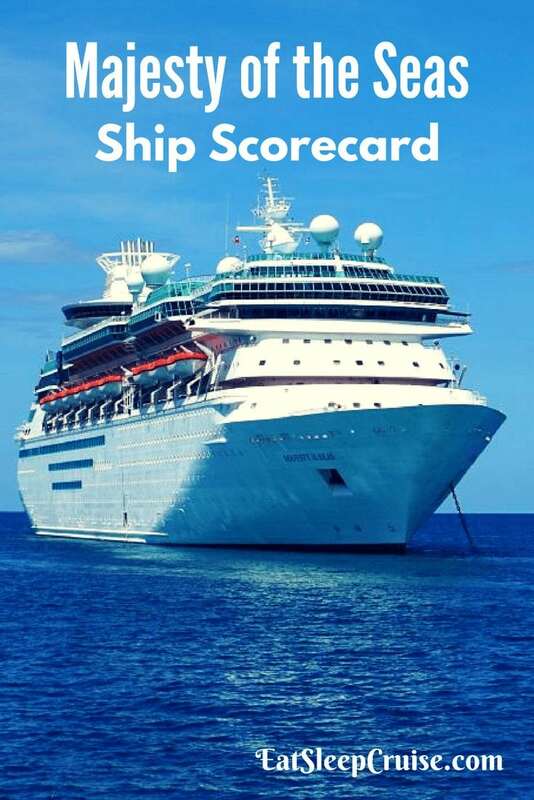 So, here is our honest breakdown of the ship in this week’s Majesty of the Seas ship scorecard. A small ship means a small pool area. 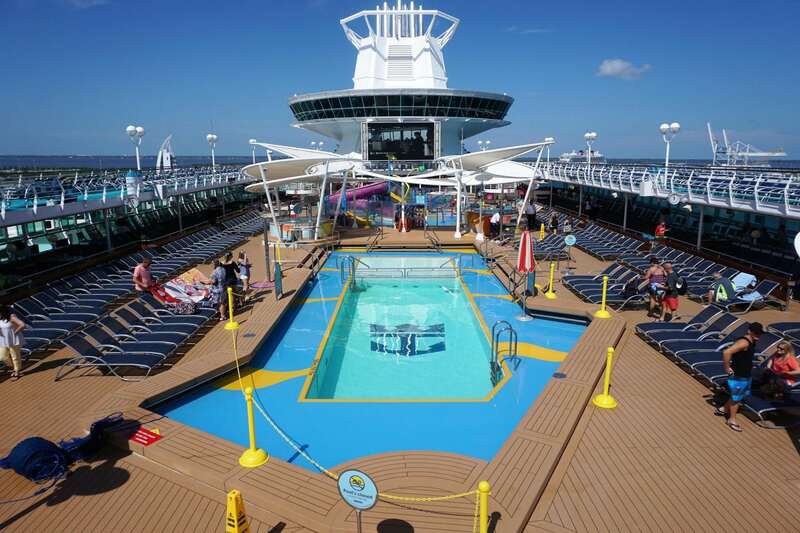 The main pool area was often filled with fellow cruisers looking for a chance to cool off. Still, we did not have any issues finding lounge chairs poolside. 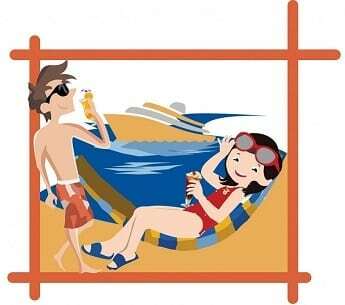 For families with little children, there is a small water park area and a family pool to provide some separation from cruisers in the main pool. 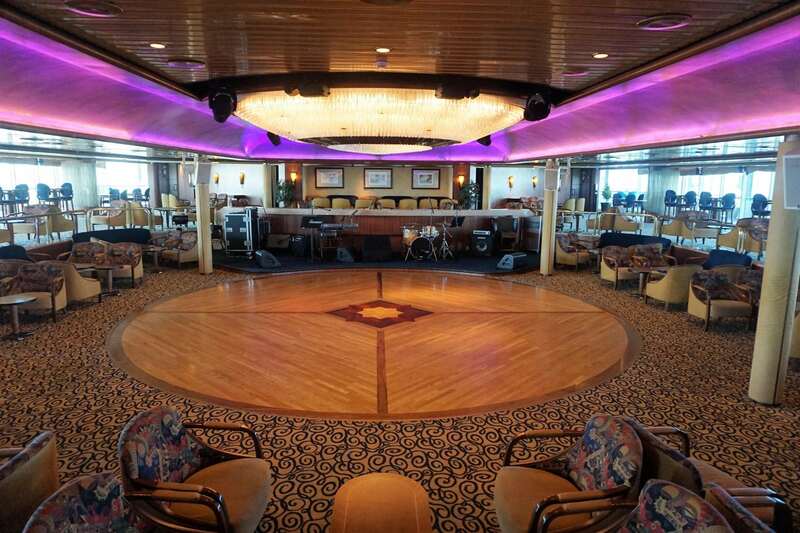 While spread out over a few decks, there are enough fitness and sports options for those looking to get in some exercise during the cruise. 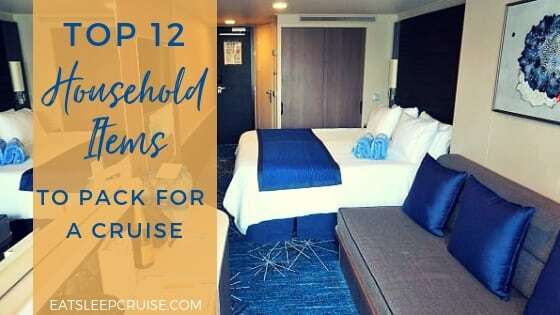 Deck 12 offers a rock climbing wall and jogging track, then a multi-use sports area for basketball, soccer, and other communal sports is located below on Deck 11. On Deck 9 is the fitness center, which was an adequate size for this class of ship. The service on the ship never came up short even when there were considerable crowds. From our superb waitstaff in the main dining room, to the diligent servers in the Windjammer and Cafe Latte-tudes, to the bartenders who cranked out drink after drink, the staff consistently excelled. This is not easy to do with a ship full of eager cruisers, but somehow the team on Majesty of the Seas rose to the occasion. 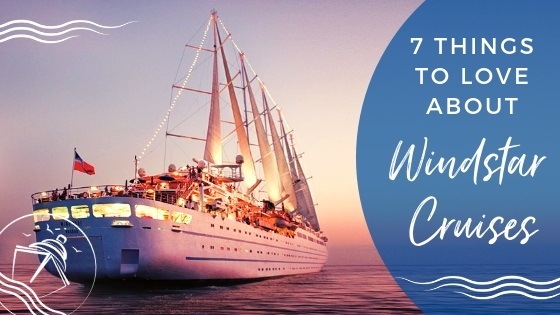 Each day of the cruise, you can find your usual mix of trivia, shopping, demonstrations/classes, and cruise director staff activities throughout the ship. Even with our port intensive trip, there was still plenty happening onboard. The energetic cruise director, Ricky Mathews, and the rest of the team made sure to keep things entertaining and up-beat during these events. 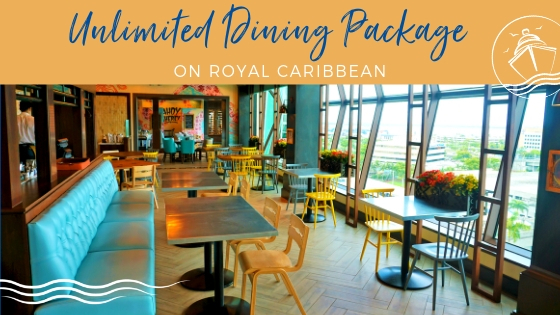 Loyal Royal cruisers will be pleasantly surprised at the execution of this menu, which many know by heart. 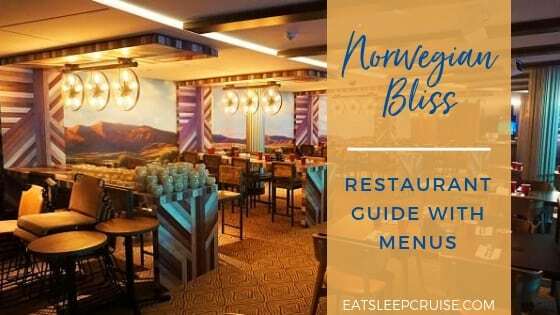 Those new to cruising with the brand will get a good introduction to the main dining room experience with this ship’s presentation and preparation of the menu. Our excellent wait staff, Lachana and Savio, ensured that dinner moved in a timely fashion. Food was well prepared and hot. All this attention and pampering made it very difficult to return to our normal dinner routine back home. 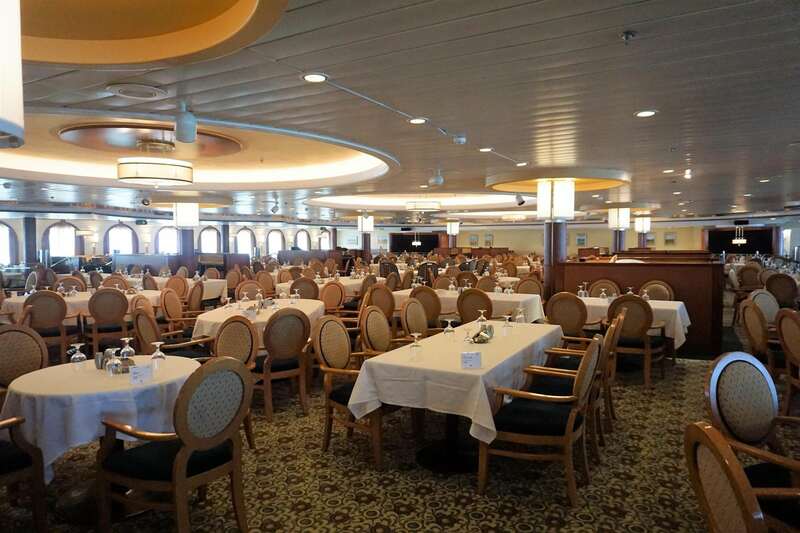 Majesty of the Seas does suffer from a lack of specialty dining options. We did dine at Johnny Rockets which is technically an up-charge, but we would not categorize that as your typical specialty dining experience. There is a Chef’s Table onboard, but given the Princess’ limited palette, we did not sample this menu. Next year, Majesty will be getting a Chop’s Grille, a much needed improvement to the dinner options. Admittedly, casual eats were a mixed-bag when we sampled the different options available. Breakfast was a bit of a let down with a very uninspired selection of breakfast items. Lunch fared better as there were more options with the Compass Deli and Sorrento’s Pizza providing some diversity and additional selections to the Windjammer. 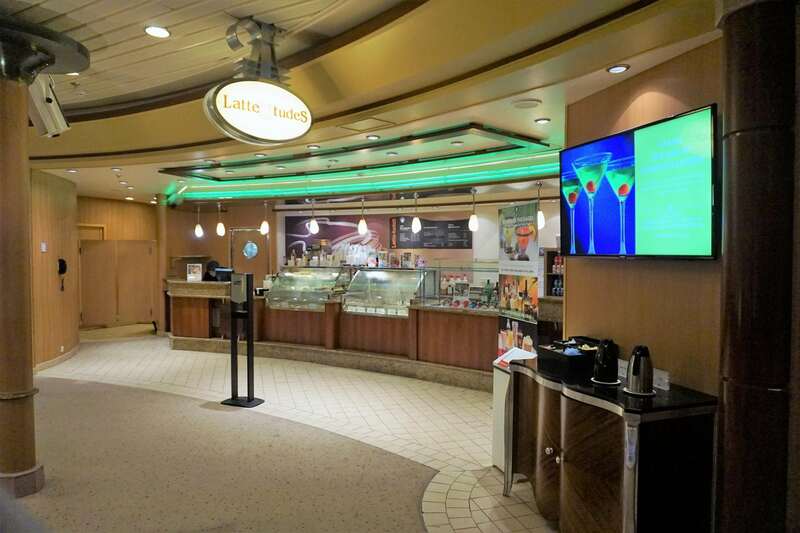 Complimentary light fare was also available at Café Latte-tudes, but the long lines of coffee drinkers made it difficult to stop in for a quick bite. 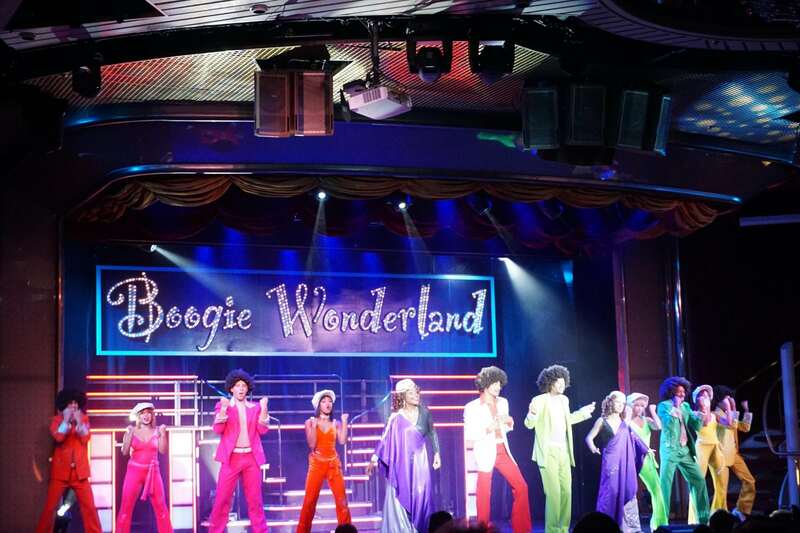 Traditional cruise shows and entertainment were featured throughout the cruise, such as live music, game shows, and other organized activities. Live music was mainly presented in the Centrum, Schooner Bar, and Boleros offering a good variety of different musical styles. We did wonder why the Spectrum Lounge was under-utilized, as it was a large venue that could have featured alternative shows, events, or live music. The main theater was home to the nightly entertainment which included a full production show on Night 1 (Boogie Wonderland) and two headliner acts. The main theater show felt dated, and we both agreed that the headliners (a juggler and a comedian) were just average. For the most part, the early shows we attended were relatively empty. 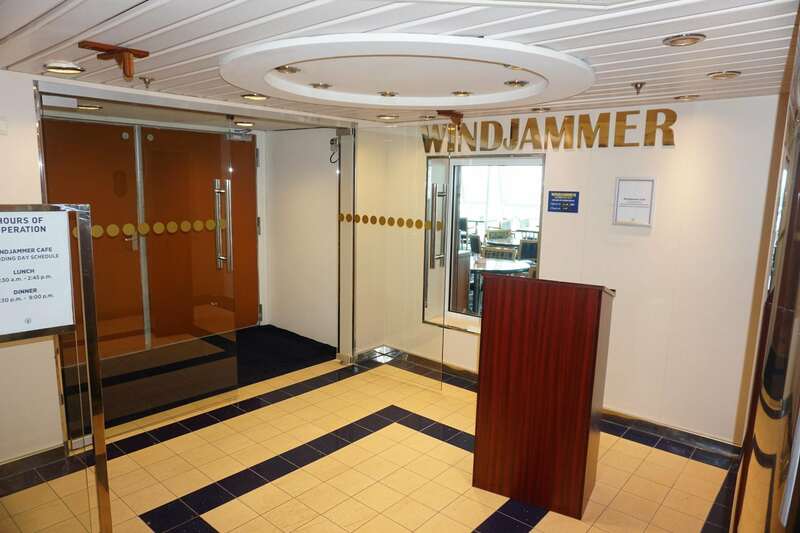 Given the attendance, it appeared that other cruisers were spending their time enjoying the other ship amenities, especially the packed casino. Perhaps our biggest disappointment was our cabin. We booked an Oceanview cabin on deck 8 (8550). With a standard layout and enough space to store luggage, the room itself was definitely in need of some TLC. There were issues with drainage and serious signs of wear in the bathroom, and the rest of the room could have used some sprucing up as well including the torn bed linens. With an upcoming refurbishment, hopefully these rooms will get a refresher. The ship only has a few indoor bars, but the crowds did disperse depending on the featured entertainment and time of night. While busy, service was efficient, and drink preparation across the different venues was consistent. 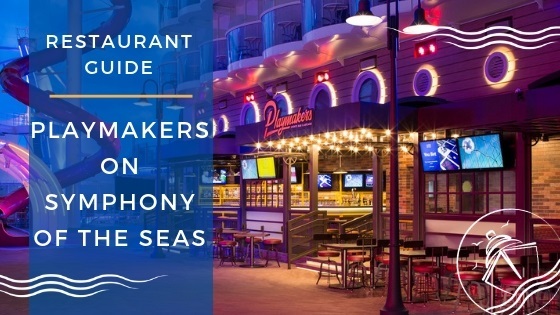 We tended to find ourselves at the classic martini and piano bar, the Schooner Bar, in the evenings as we enjoy this menu the best. During the day, the busy outdoor bars were non-stop with bartenders doing their best to accommodate the line of cruisers eagerly awaiting some drinks. Once you get the hang of the layout of the indoor decks, there are virtually no issues with crowds. Yes, the ship holds about 2,700 cruisers whom at times seemed to all gravitate to the same places and events. Still, we never had issues navigating the ship, finding seats at the restaurants or bars, or getting lounge chairs outside. Even getting an elevator was not overly burdensome; although, given the size of the ship, you are probably better off walking up or down a few decks to get to your next destination. For a three day vacation, Majesty of the Seas holds her own when compared to similar options. 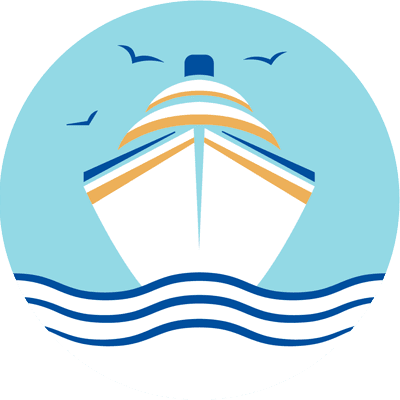 With solid service, a great cruise director and entertainment staff, and an on-point dining experience, the ship provides a great value. Being over 25 years old, the ship does show some signs of aging with the staterooms being in particularly rough shape. 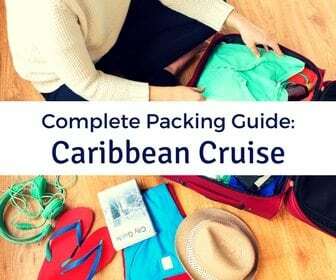 A scheduled dry dock is coming soon, so hopefully, the cruise line addresses these issues. 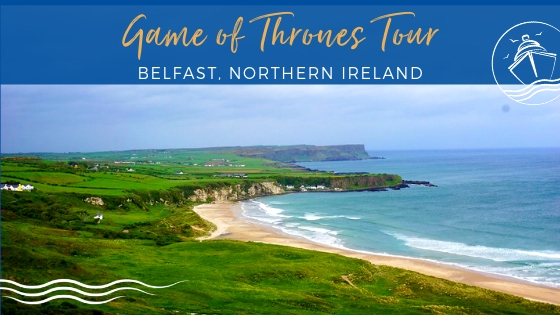 Still, we would recommend this cruise for those savvy travelers looking for a quick escape. Of course, if you want a short cruise on one of the line’s newer vessels, you might want to consider Independence of the Seas or Mariner of the Seas, which will be doing short cruises starting in Summer of 2018. 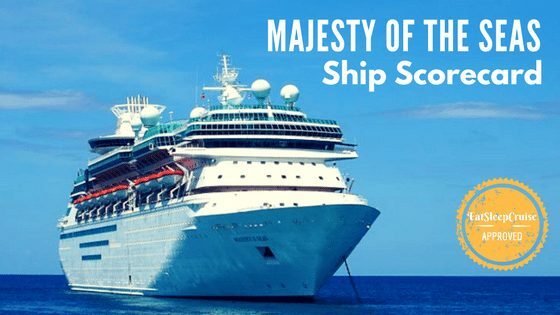 Have you sailed on Majesty of the Seas? What are your ratings for this ship? Drop us an anchor below to share your opinions on all things related to Royal Caribbean’s Majesty of the Seas. I agree with everything you mentioned. I’ve always felt food quality was above average. The cabins are small, that will never change. I suspect they’ll sell her as apposed to spending a bunch of money. Although they plan on using her for Cuba so they might. Soon we will have much better short options. When MARINER arrives, and Vision starts in NO. And Galveston will be another option. I think your best bet for short Cruises comes out of Tampa. Brilliance and Empress are outstanding.